In addition to one’s daily reading schedule, it is a good thing to read through the hymn book in a year. 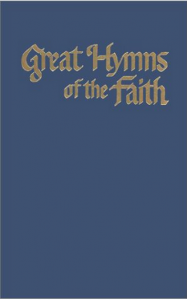 I am going on my fifth year of reading through this 1968 edition of Great Hymns. Since I rise early, I can sing a hymn in the morning (no one else need listen) before my Bible reading. It refreshes my memory of these great songs and fills my illustration file!